Home FAQ and help Best Indoor Dogs: Which Pups Can You Keep Indoors? What do the best indoor dogs have in common? What traits should we be looking for in an indoor pup? It is not always easy to tell which dog breeds make the top indoor dogs based on size or looks alone. Some of the best big indoor dogs look like they belong outside because they are so big. Similarly, some of the best small indoor dogs might not come from the dog breeds you expect to live happily indoors. 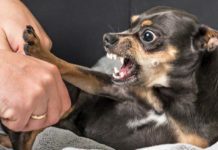 In this article, you will learn about some of the best indoor dogs for individuals and families. Canis lupus familiaris, aka the modern dog, is a unique species. There is simply so much diversity to be seen between one dog breed and the next. Not only do various dog breeds often physically look different, but they have varied needs to live happy, healthy lives with people. Often this boils down to a dog’s breed history. And how that dog breed has evolved to live and work alongside people. As you learn more, you will find that the best indoor dogs for individuals and families frequently share certain key attributes in common. These canine traits may be present regardless of the dog’s size, looks, smarts, or breed history. Here are some of the most common traits that can indicate a dog should live indoors (each trait includes an example). Some dogs are naturally less likely to cope with temperature extremes that fall outside what they have been bred to live and work well in. For example, the Siberian Husky hails from (no surprise here) Siberia, where the weather is quite cold for much of the year. These dogs have developed a thick, double-layer coat to protect them from the winter weather. This coat makes hot weather difficult to tolerate. In contrast, some dogs lack sufficient protection from the elements, either because their coat is a single layer or because, perhaps, they don’t have a coat at all. The Chinese Crested—sometimes called the Chinese Hairless, dog breed—can be bred with fine fur all over her body, or with fur only on her head, hocks, and tail. The latter is particularly susceptible to sunburn, skin abrasions, and infections. She is best kept indoors year-round. Puppies and elderly dogs can have special needs that make being outside for long periods of time dangerous. For example, young puppies typically don’t have a good internal ability to thermo-regulate their body temperatures. This means they can overheat or take a chill quite rapidly and become ill. 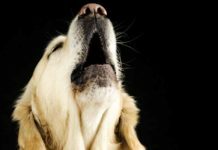 Elderly dogs often struggle with similar issues, either because of an under-functioning immune system or because of the thinner skin and fur that comes with age. Certain dog breeds—especially those that are brachycephalic (flat-faced) such as the Pug, bulldogs, and Boston Terrier—experience more challenges with keeping cool when left outside in the heat. Also, dog breeds that are more prone to allergies, including skin irritation, may have a difficult time tolerating exposure to the sun, pollen, environmental toxins, and bugs when left outside consistently. Different dog breeds not only look quite different but may exhibit unique temperaments. When left outside continually, some dog breeds, such as the Rottweiler or Bullmastiff, may have trouble resisting the urge to challenge every pedestrian, whether human, feline, or canine. This may result in anything from angry neighbors to chewed-up fencing and a canine escapee. As well, some dogs are so people-oriented that leaving them on their own outside and separated from “their” people is a recipe for behavioral and emotional disaster. If you are not sure whether your dog breed is one that should always live indoors, be sure to talk with your veterinarian to get guidance. Whether dogs should ever be kept outside all day is a matter of intense, ongoing debate. Many dog lovers and dog experts believe that all dogs should be indoor dogs. The U.S. Animal Welfare Act states that certain categories of dogs should never be permanently housed outside. This includes dog breeds that cannot tolerate the local temperature (hot or cold) and all young, elderly, or sick dog breeds. The Act makes it clear that all elderly dogs should be indoor dogs and all puppies should be indoor puppies, regardless of breed. 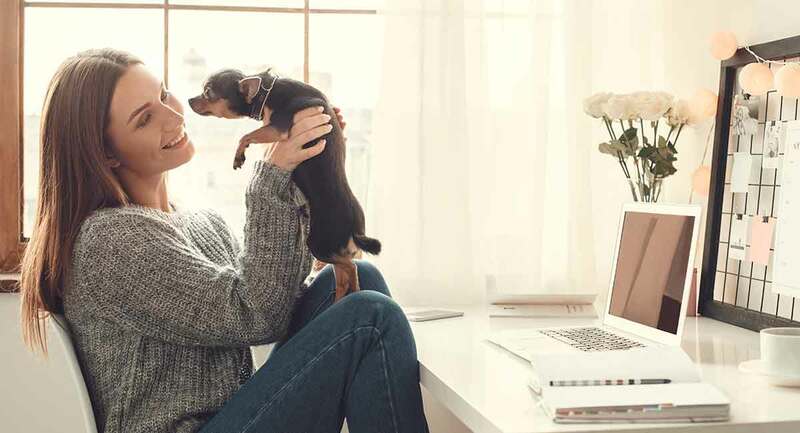 So now let’s take a look at the best small indoor dogs and the best large indoor dogs for individuals and families with children. 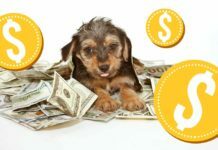 This list of the best small indoor dogs gives you lots to ponder as you create your short list of possible dog breeds to choose a pint-sized indoor pooch. The Papillon scores in the top 10 smartest dog breeds for trainability and obedience. These petite pups may look fancy, but underneath they are all good, solid, playful family dogs. Papillons are also natural athletes that love to play and stay active. The Papillon can get hurt jumping up and down off furniture because this dog has extremely thin bones. Also, Papillons can easily end up underfoot and get hurt that way. They are also prone to patellar luxation (dislocated kneecaps). This dog can live up to 16 years, and will readily play with other family pets as well as kids and adults. This small, fluffy white dog looks more like a toy than a pup, but that white coat is about as close to non-shedding as you will find in a dog today. Under it, the Bichon Frise is an active, sturdy pooch. The Bichon Frise tends to make friends everywhere and will relish an indoor lifestyle as long as there is plenty of playtime. The Bichon is smart and a fast learner, and will readily take to training and even doing tricks. Patellar luxation and hip issues can cause trouble for this active pup, but otherwise this dog can live up to 15 years. The Beagle dog is bred in two sizes: Under 13 inches tall and less than 20 pounds, and 13 to 15 inches tall and 20 to 30 pounds. Beagles are hounds, and their merry personalities make them a natural for family life. The Beagle can suffer from hip dysplasia and luxating patella, as well as thyroid and eye issues. Otherwise, this happy, hearty dog can live up to 15 years. The Yorkshire Terrier, or “Yorkie,” may look like a miniature walking carpet, but this dog is truly a tomboy trapped inside the body of a show dog. The Yorkie is a “people dog” that is smart and easy to train. These dogs should not be allowed to jump up and down from furniture because of their small, fine bones. Yorskhire terriers can have trouble with their kneecaps (luxating patella) and also with eye issues. Their average life span is 11 to 15 years. The Chinese crested is bred in two sub-breeds: coated and hairless. The hairless Chinese Crested has fur only on the head, hocks, and tail. The Chinese crested is smart, fun, funny, and loves to be around people. These dogs are smart, easy to train, and they love to please. However, if you take your Chinese crested outside to play, you need to use sunscreen and protective clothing. The Chinese crested can develop patellar luxation, as well as eye issues and heart issues. These dogs can live as long as 18 years. The miniature or toy Poodle is a great choice for a small indoor dog breed. These decorative-looking dogs are actually amazing athletes underneath that non-shedding curly coat. The Poodle is as smart as they come, and will learn commands and tricks easily. They do love to stay active and even enjoy swimming. Poodles can develop patellar luxation and hip dysplasia as well as Legg-Calve-Perthes (blood flow to the femur is interrupted and the bone begins to die) and eye issues. Poodles can live from 10 to 18 years. This list of the best, large indoor dogs is a great place to start when narrowing down your choices for your large, indoor pet dog. 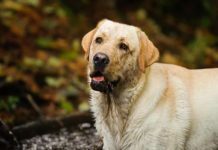 The Labrador Retriever, or “Lab” as fans call this dog, is one of the all-time best indoor family dog breeds even for families with small children. 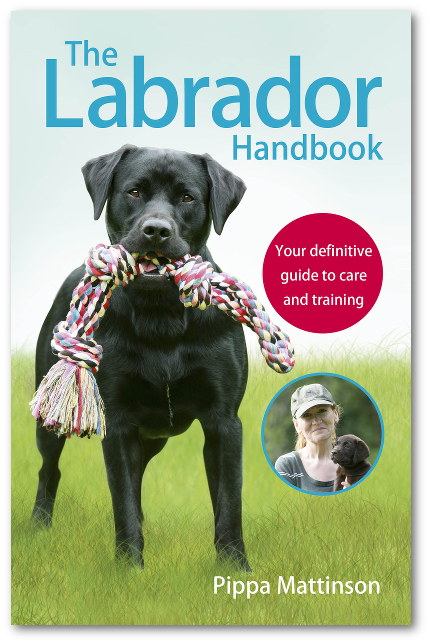 The Lab has been the American Kennel Club’s most popular pet dog breed for the last 26 years and counting. Labs are intelligent and active; they love to run, play, and swim. 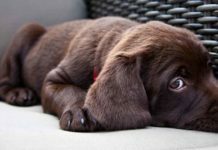 Labs are easy to train because they have a noticeably high people-pleasing drive, but they can be so exuberant as puppies and young adult dogs that they need a lot of training reinforcement. Hip and elbow dysplasia, bloat, and exercise-induced collapse are some of the main health issues to be aware of. The Lab can live from 10 to 12 years. The Golden Retriever is hot on the Lab’s heels as one of the best indoor dogs for kids and families. The Golden Retriever will likely never meet a stranger in her life. This makes this dog breed a terrible guard dog but a wonderful canine best friend. Goldens are really smart and easy to train. They can struggle from hip and elbow dysplasia as well as eye and heart issues. But the primary health concern in this breed is cancer. Healthy Goldens can live 10 to 12 years. The Bernese Mountain dog may be big in size, but this dog is angelically gentle in temperament and is known to be particularly wonderful with young children. They make great family dogs, and are smart and eager to learn. These dogs make great students and pick up new training skills fast. The “Berner,” as this dog is sometimes nicknamed, can develop hip and elbow dysplasia as well as eye and heart issues and bloat. The average life span is seven to 10 years. The German Shepherd dog (GSD) is the second most popular pet dog in the United States. This loyal, loving, smart, and brave dog is often considered to be “canine royalty” that is loyal to her family above all. The GSD is smart and easy to train. This dog does need plenty of exercise and excels at canine sports. The GSD can suffer from bloat as well as hip and elbow dysplasia. The average life span is seven to 10 years. The standard Poodle shares all the same great features as the miniature and toy Poodles. This dog is smart, athletic, lovely, and graceful in personality and temperament, as well as appearance. The standard poodle is easy to train and a fast learner. A natural family dog, she will want to be wherever you are and doing whatever you are doing. Poodles can live 10 to 18 years. The Portuguese Water Dog has experienced a dramatic increase in popularity after former President Barack Obama and his family adopted two for their daughters. This dog is said to be hypoallergenic in that it is non-shedding, however there is no such thing as a truly hypoallegenic dog. The “Portie,” as fans call this dog, is a wonderful family dog that loves to play and run and swim. Portuguese water dogs are bright and easy to train. This dog is best placed in a family with older children. The Portie sometimes struggles with hip and eye issues. This breed can live 11 to 13 years. We hope you have found this article about the best indoor dogs helpful and interesting. Did any of the breeds here surprise you? All dogs need to exercise every day, and some of our homebodies on this list need up to two hours of daily exercise. But they are also more likely to survive and thrive if they can come home to a warm indoor environment at the end of the day. 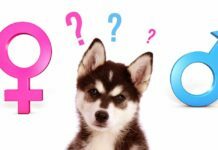 Are you choosing a new pet dog? Perhaps one of these great indoor dogs will be your next fur companion. Let us know which you choose in the comments box! Next articleSmartest Dogs: Is Your Pet the Cleverest Pup of All?